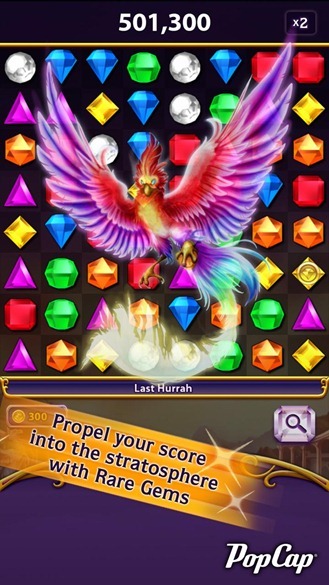 Bejeweled Blitz is based around the tried-and-true matching gameplay with some additional social elements built in. 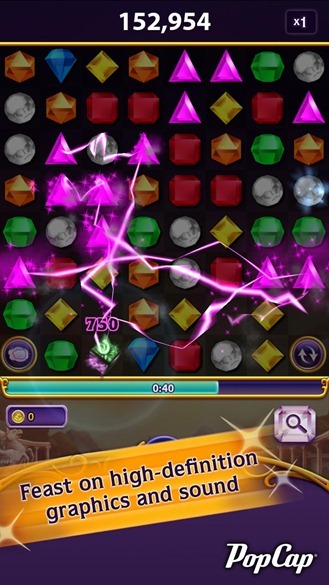 There is also a time limit, hence the "blitz" part. 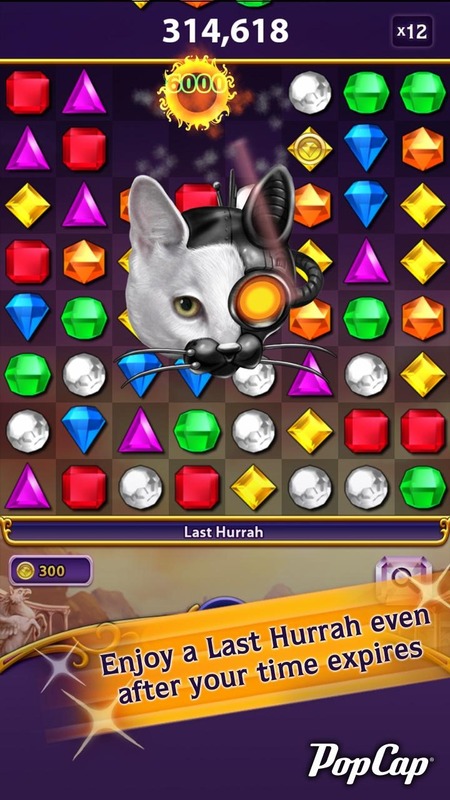 You can play against Facebook friends, or just spam your news feed with Bejeweled updates. I don't suggest you do this, but you can if you want. The more you play, the more content is unlocked. Being an EA game, there are in-app purchases to accelerate your progress. 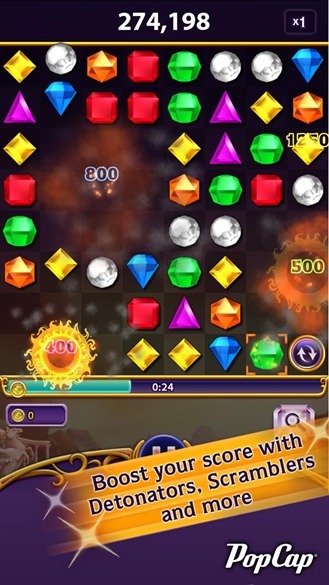 You earn coins from playing, but as a free title, the IAPs are pushed a little more aggressively than in some other games. Don't be fooled by the "Best Deal" banner on the $99.99/1.3 million coin bundle – that is not actually a good deal. Not the best system for the thrifty among us, but people seem to like the game.